Looking to add contemporary elegance to your home in a way that will stand the test of time? 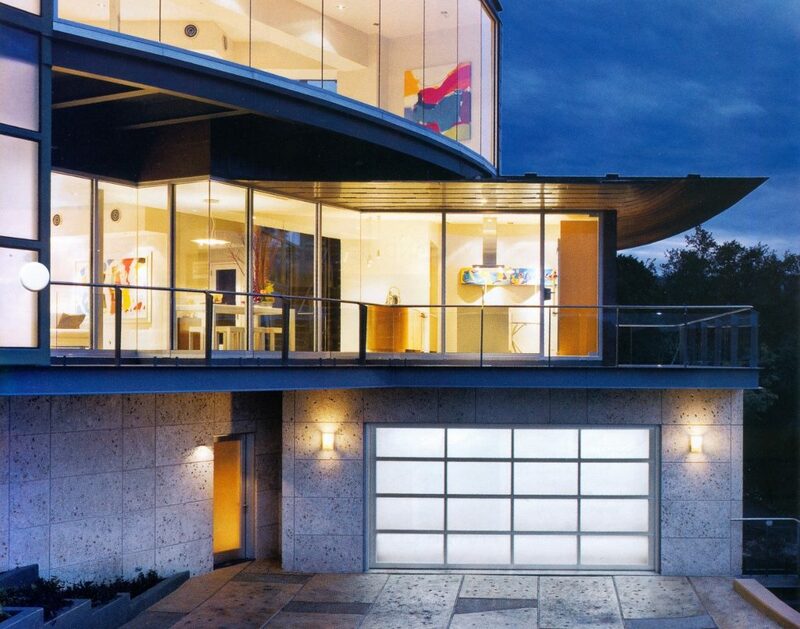 Consider installing modern aluminum and glass garage doors. While they may be slightly more expensive upfront than traditional garage doors, modern aluminum and glass doors add value to your home in many ways, making them a very worthwhile investment for your home. The biggest benefit that these doors offer is architectural flexibility. There are many options to choose from when it comes to selecting an aluminum frame. Type of glass, and certain components come in multiple varieties. Whether your home is modern to begin with, or you’re contemporizing a traditional style home, you can customize your doors to match your own individual style. Additionally, modern aluminum and glass doors are extremely durable and virtually maintenance free. Given that they are constructed mostly of glass, they will help to brighten up your garage by allowing in lots of light. Clear Glass: Basic clear glass windows allow the most light into your garage, making the space brighter. They also tend to look the most modern and are the easiest to clean. Low-E Glass: Adding a “low-E” coating to your glass lowers its emittance. This means that it reduces its solar heat gain and controls glare. Overall, this can improve insulation, performance and efficiency. It’s an investment that will keep your home warmer in the winter and also pay dividends by keeping it cool in the summer. Tint Color Options: Choose from a variety of tint options for your glass door panels, like clear (as we mentioned above) gray, or bronze. The aluminum door sections come in 9 standard colors and 187 custom colors. Coordinate the glass tint with the aluminum door color, siding, and roof colors to achieve your desired look. Thickness: Glass options are available in various thicknesses. Single glazed in 1/8”, 3/16”, and 1/4” and insulated glass in 1/2” thick. Insulation Level: In addition to varying thickness levels, the insulated glass we offer can also be either clear or have Low-e coatings . Choosing Low-e insulated glass will greatly increase your home’s energy efficiency and can help keep your garage at the temperature you want it to be. Contact us today to speak to a member of our expert Sales or Installation team about our Clopay collection of modern aluminum and glass residential doors.